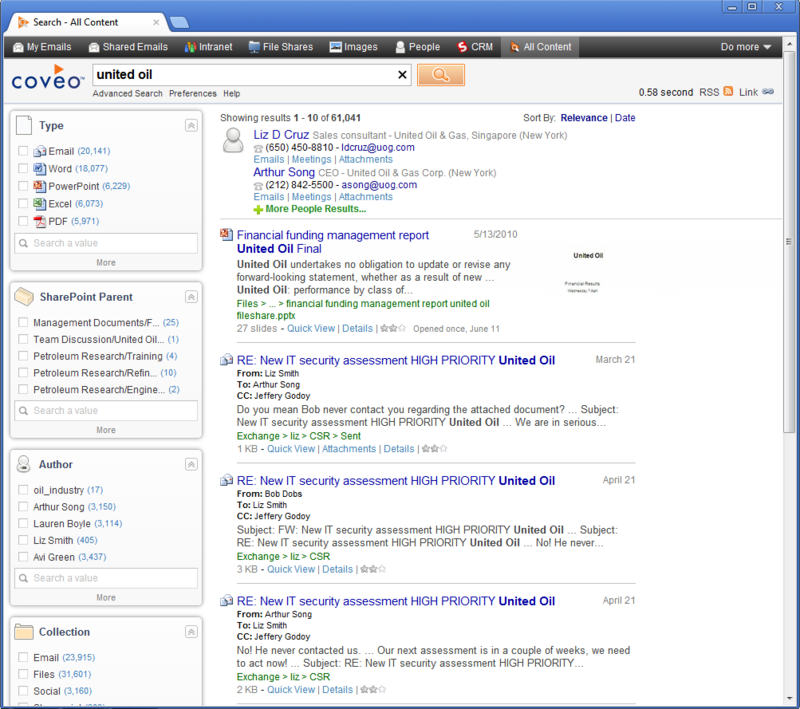 The Coveo .NET Front-End offers out-of-the-box web search interfaces. Your Coveo administrator can easily deploy and make .NET search interfaces available to you by providing the address to use in your browser to access them. The out-of-the box default web search page contains several .NET search interfaces, each with its specific search scope (see About .NET Search Hubs and Search Interfaces). Your Coveo administrator can customize the look and feel and the available .NET search interfaces in the search page made available to you. Note: By default, the Coveo .NET Front-End out-of-the box search interfaces can be accessed through port 8080 with a URL in the http://Coveo_Server:8080 form . Your administrator may however change the port or create an alias that encapsulates the port.